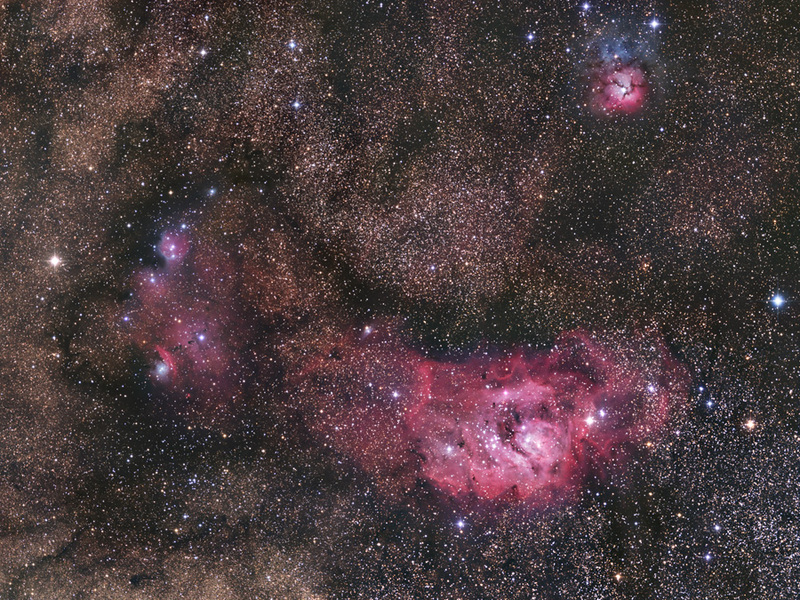 The Lagoon Nebula (lower-right) and the smaller Trifid Nebula (upper right) together with NGC 6559 and its surrounding complex (at left) in Sagittarius. 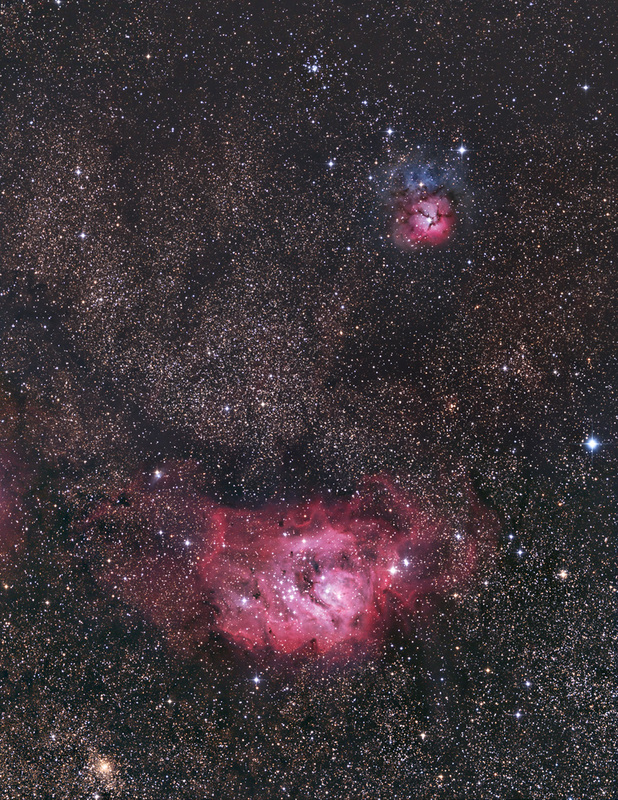 Below, another view of the area, this time including the open star cluster Messier 21 (top-centre) and the globular cluster NGC 6544 (lower-left). See subsequent images for details and higher-reolution imagery of these objects.